PRINCESSES BEHAVING BADLY combines fun, accessible pop history (a la Quirk's SECRET LIVES OF THE US PRESIDENTS) with a funny feminist point-of-view (a la Quirk's WONDER WOMEN). This new paperback edition will feature a new bold and edgy cover direction. 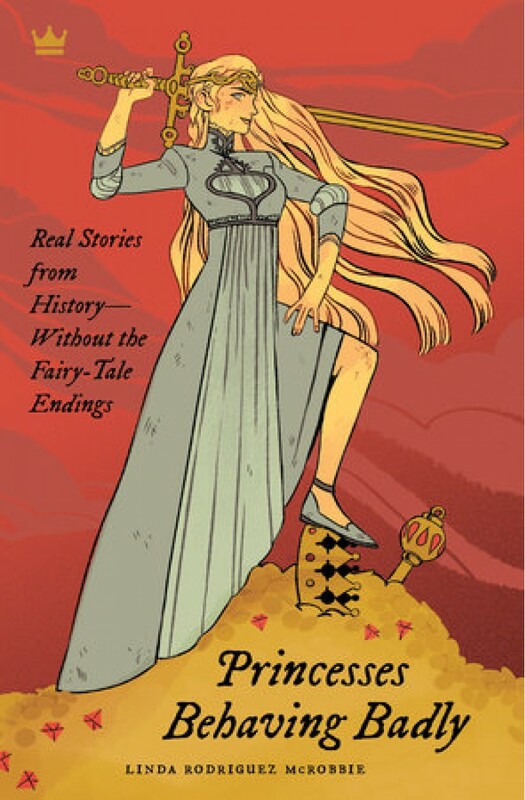 This new paperback edition offers true tales of these take-charge princesses plus dozens more in a fascinating read that’s perfect for history buffs, feminists, and anyone seeking a different kind of bedtime story. You think you know her story. You’ve read the Brothers Grimm, you’ve watched the Disney cartoons, and you cheered as these virtuous women lived happily ever after. But real princesses didn’t always get happy endings. Sure, plenty were graceful and benevolent leaders, but just as many were ruthless in their quest for power, and all of them had skeletons rattling in their majestic closets. Princess Stephanie von Hohenlohe was a Nazi spy. Empress Elisabeth of the Austro-Hungarian Empire slept wearing a mask of raw veal. Princess Olga of Kiev slaughtered her way to sainthood. And Princess Lakshmibai waged war on the battlefield with her toddler strapped to her back.